1.Can you provide Holographic glitter in biodegradable ?Can you provide iridescent glitter in biodegradable? Before answering these questions,I would like to introduce you the processing of glitter powder,then you will know the answer. The difference is the film we use. The plant cellulose is dyed and then covered with the tiniest amount of aluminium in order to give it it’s shine. For now we can replace the original film into biodegradable film,but for holographic film and rainbow film,we still need our partners to help us on invention. 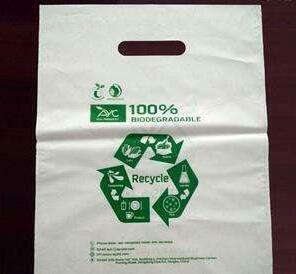 In summary:What we can produce now is metallic bio glitter and single colour biodegradable glitter now. 2.What is biodegradable glitter made from? All of our biodegradable glitter are made mainly from a plant cellulose instead of PET/PVC plastic. The main ingredient is Eucalyptus Trees from sustainably farmed non-GMO plantations. We have two kinds of biodegradable glitter now ,one if craft biodegradable glitter and the other is cosmetics biodegradable glitter. Our glitter can be used for cosmetic or for crafts. It has been used in bath bombs, soaps and by schools. As it is made from plants ,it can not be resistant to some solvents so it doesn’t always work with nail applications. 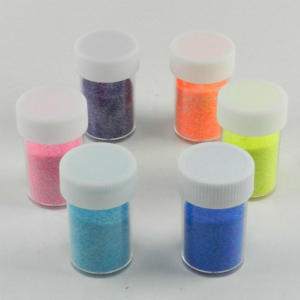 However, we can send you samples on the site for you to purchase some glitter and see if it works for your project. 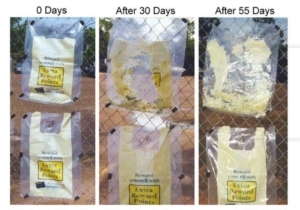 4.How long does it take to biodegrade? The time taken for the glitter to biodegrade depends on a number of conditions. For example,70% degradable in the lab.But in the enviroment,the water, warmth and micro-organisms are all present and then the rate will be faster. 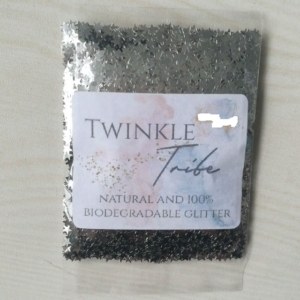 The biodegradable glitter is home compostable and the best place for it is in soil as all the ingredients are present. 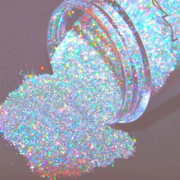 Aluminium is the most abundant metal in the Earths crust, however some people concerns over its use in glitter. The amount of aluminium used is really very small, about 0.1%. It is the tiniest layer in order to give the glitter some shine and PET/PVC based glitter use aluminium too for adding an extra layer of shine. There is a misconception that aluminium has been linked with Breast Cancer, however according to Cancer.gov there has been no scientific evidence to prove this. If you really feel worry about the aluminium,we still have single colours for you!! For more questions,please contact us!! !